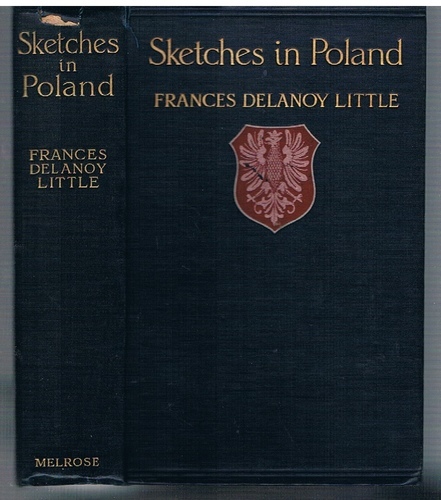 Sketches in Poland. 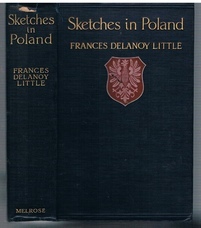 Written and Painted by Frances Delanoy Little with an historical postscript. Original blue cloth, spine lettered gilt, upper board lettered gilt with device of White Eagle in white and red. Map and 14 tipped-in colour plates (all present as called for), tissue protected. Related newspaper cuttings in Polish loosely inside. A good tight copy but spine head pulled. Owner ex libris to past-down. ; Includes Lwow and Danzig.